Amazon reported better-than-expected third-quarter earnings on Thursday, while fourth-quarter guidance left much to be desired. For the quarter ended September 30, the tech titan racked up $56.6 billion in revenue, which was up 29% year-over-year. Net income increased to $2.9 billion, or $5.75 per diluted share, compared with net income of $256 million, or $0.52 per diluted share, during the same period last year. Amazon founder-CEO Jeff Bezos said he was particularly pleased with the company’s enterprise business. “Amazon Business has now reached a $10 billion annual sales run rate and is serving millions of private and public-sector organizations in eight countries,” Bezos said on Thursday. Yet analysts were more focused on Amazon’s expected fourth-quarter net sales -- between $66.5 billion and $72.5 billion -- which were lower than many anticipated. Analysts also expressed unease with Amazon’s projected fourth-quarter operating income of between $2.1 billion and $3.6 billion, which compared unfavorably with the $2.1 billion in operating income that the company took in during the same period last year. “Investor focus likely shifts to softer-than-anticipated holiday revenue/profitability guidance (potentially driven by rising labor/shipping costs),” Baird Equity analyst Colin Sebastian wrote in a note to investors on Thursday. Among other notable achievements during the quarter, Amazon said a number of Alexa-compatible smart-home devices has quintupled year-to-date to more than 20,000 devices from over 3,500 brands. The company also introduced a new family of Echo devices, including the next generation Echo Dot, Echo Plus and Echo Show; Echo Auto, the new Echo for the car; and companion devices, including Echo Wall Clock, Echo Input, Echo Sub, Echo Link and Echo Link Amp. Amazon’s Prime Video and Comcast announced an agreement to launch Prime Video on Comcast’s Xfinity X1, which is intended to give Xfinity TV customers easier access to more shows and movies. Amazon also expanded grocery delivery from Whole Foods Market through Prime Now. The service is currently available in roughly 60 U.S. cities. This past quarter, the company also announced plans to increase its domestic hourly minimum wage to $15 in the U.S., £10.50 in the London area, and £9.50 in the rest of the United Kingdom, effective November 1. 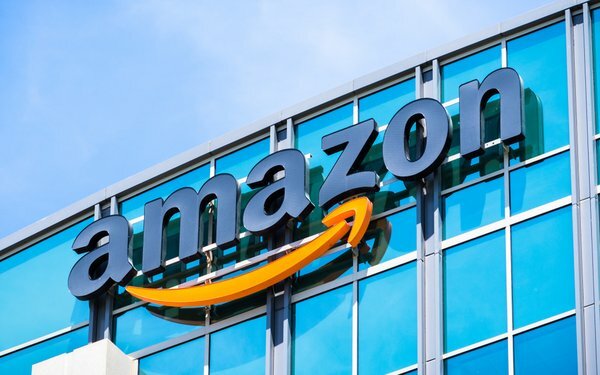 The new minimum wages are expected to impact more than 250,000 Amazon employees in the U.S., 17,000 Amazon employees in the U.K, and roughly 100,000 seasonal employees in the U.S. and over 20,000 in the U.K.